MoonProject – The Big Smoke – Your key to happiness? You are here: Home » Featured » The Big Smoke – Your key to happiness? The Big Smoke – Your key to happiness? It seems to be a well known and highly voiced fact that living and working in the city of London is the ultimate lifestyle choice for many; the number one spot where all your hopes and dreams will come true, the epitome of success and fun. It boasts a high employment rate, enviable pay, up-to-the-minute bars, clubs, and restaurants… and that’s only naming a few of its tempting factors. Let’s not forget the most important thing to gain from living within our great capital city; being able to refer to yourself as a “Londoner”. The minute one takes residency, anyone from outside of London will hear them constantly refer to how crazy their “life as a Londoner” is…and why not? London is a fantastic city after all, with a great deal to offer a person ready to make his or her own way in the world. It is the embodiment of everything cool, young and exciting. …But wait a minute. What if you admit- out loud– that you don’t really like London that much? This is usually perceived as instant sacrilege. Often someone’s jaw drops whilst a silent, stray tumble weed rolls by in the distance. Maybe you aren’t that keen on the overcrowded, underground mole tunnels. Maybe it’s the consistent sense of every single person being in a hectic, stressful rush to go here, there and everywhere – whether this be to arrive at the office on time or to simply pop out and buy milk. Moreover, the pay rates may be higher, but the renting prices are extortionate, even for the grittiest single room overlooking a graffiti ridden corner shop. Now don’t get me wrong – as previously stated, I can clearly see the many pros of living in such a famous and exciting city. I have a handful of London dwelling friends who are all wonderful people. Nevertheless, it is vital to highlight that life outside of the big smoke is still an enjoyable and successful life choice. To all of the individuals out there who just aren’t tempted by the famous capital, you must never be ashamed or uncomfortable to admit this. After taking an arts degree it took me a while to admit to myself and accept that London was not for me. Although I realise that London is a fantastic choice for the creative, I listened to my gut and finally managed to openly voice that the capital was not where I wanted to work and live. I am not ready to become a box fresh ‘Brand Londoner’ quite yet. I struggle with anxiety when it comes to travelling on trains and tubes. I used to blame this as the reason for my hesitance with regards to moving my life to the city, but as time went on I realised I could never be a Londoner due to who I am as a person. This was an extremely positive realisation for me. I love to visit occasionally, but every time I leave I feel a sense of relief to be heading back to my quiet little home-town. As soon as I began to confess this to my family, boyfriend and London dwelling friends, it dawned on me that in order to be successful in life, we must put our personal well-being and happiness first, rather than following the crowd and being herded into a tick box lifestyle that you think you are required to have. 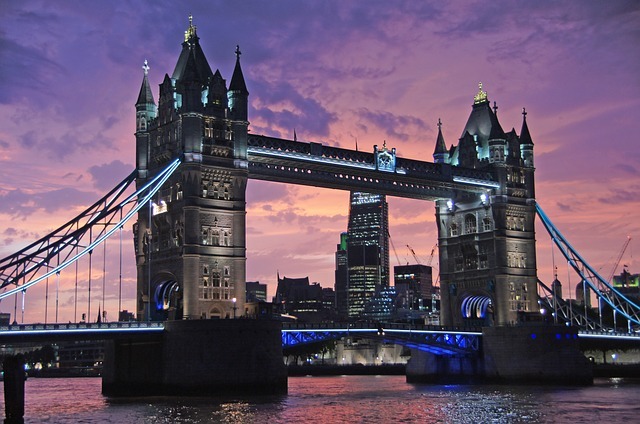 Being authentic and true to who you want to be is vital; if you want to be a Londoner and you thrive in a bustling and busy life style, then so be it – London is the place for you to be. Pack up your things, find a moving buddy and head on up to the city of dreams. If you want to keep your distance and find employment and contentment elsewhere, then embrace your chosen lifestyle choice and don’t feel the urge to become a sheep following in the footsteps of others – there are a great deal of other stimulating and attention-grabbing cities and towns to explore, which will give you that sense of fulfilment that you have been searching for. Prioritise your happiness, and the rest will fall into place. Author: ellyknott23 My name is Elly, I am a Content Writer based in Southampton. I am open to writing about a range of topics, but have a particular passion for lifestyle and entertainment themed pieces.